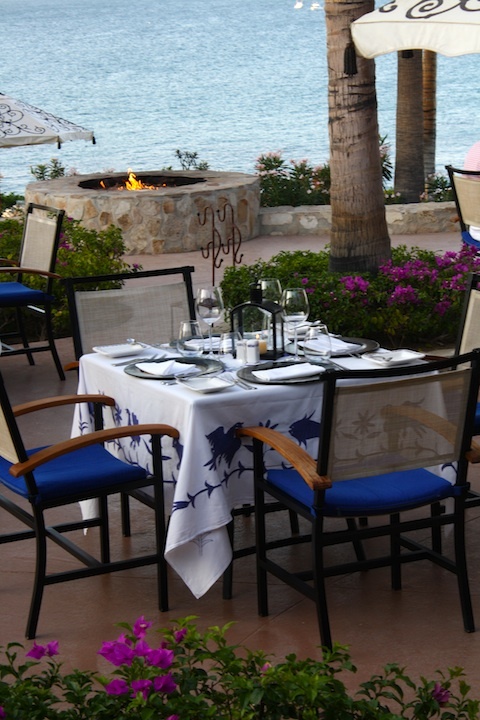 Agua Restaurant, one the top restaurants in Los Cabos, is an elegant, casual paradise overlooking the Sea of Cortez. Located at the One&Only Palmilla, the vibrant blue and purple decor of the restaurant complements the stunning landscape. Agua serves up a master combination of Mexican and Mediterranean cuisine and even has a water menu with waters from all over the world. For more about Agua, check out this interview with Executive Chef Larbi Dahrouch.